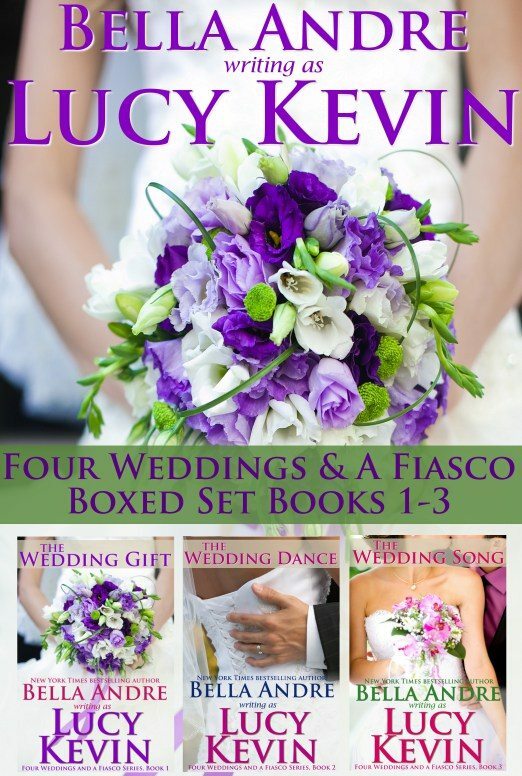 This boxed set contains the first 3 books in the Four Weddings and a Fiasco series! After Julie Delgado’s restaurant closes, she temporarily takes over the catering position at the Rose Chalet, a full-service San Francisco wedding venue. 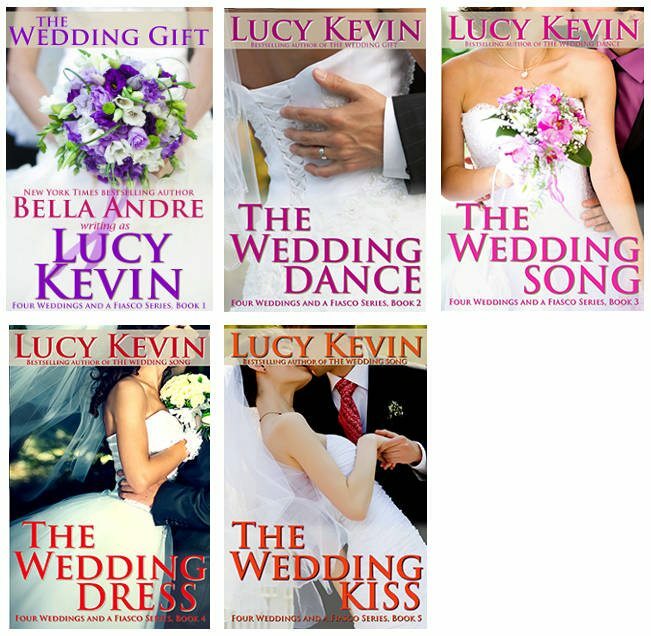 She plans to dazzle the bride and groom, but fate has other plans for her when the bride’s brother shows up for the first food tasting. Andrew Kyle is not only the Cuisine Channel’s Edgy Eats host and chef, but his recent review of Julie’s restaurant was the final nail in its coffin. But Andrew is certain she’s playing it safe, and he wants nothing more than to be the one to break her guarded passions loose. Phoebe Davis, the Rose Chalet’s florist, knows nothing is permanent—not the floral arrangements she creates, not the weddings she helps produce, and certainly not her parents’ marriage which ended in a bitter divorce. But when one dance with Patrick Knight is all it takes for her to start rethinking everything she’s ever believed to be true about love, will Phoebe dare let herself risk her heart on the most fragile and precious bloom of all? Tyce Smith, the band leader for the top wedding venue in San Francisco, hasn’t written a new song in five years. Not since the fateful night he kissed the woman of his dreams, and she left him with nothing but a first name and no way to find her. When fate steps in a second time, he can’t make the mistake of letting her run again…even if the hurdles in the way of true love seem bigger than ever.